Qi as well as its ability to cure ailments can be released without needling by the application of magnetism. Qi-effects are based upon the magnetic force released by magnetic platelets fastened onto acupoints. This property supports and proves one of the definitions of qi which says, that “qi is bio-electrical magnetism” or “qi is defined as any type of energy which is able to demonstrate power and strength. This energy can be electricity, magnetism, heat, or light”. 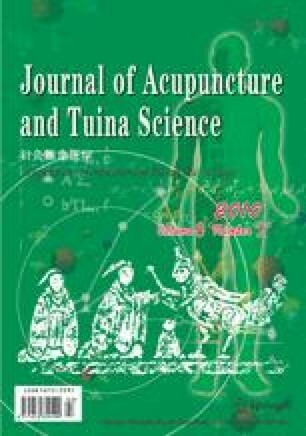 Furthermore, it is suggested to use magnet acupuncture parallel to needle acupuncture according to traditional Chinese body acupuncture rules scientifically controlled in order to carry out research on qi and qi-effects. Here it might even be possible to find a quality and even a parameter to measure the intensity of qi-effects, such as by simply measuring the possible change of the heart beat frequency (pulse frequency) before and after application of the needle or magnetic platelet. It is also possible that there is another parameter in existence which will be changed by the impact of qi and acupuncture which still needs to be detected.